Every once in a while, we hear about an offer so incredible that we just have to tell you about it, even if it doesn't happen to be for audiobooks. This is definitely one of those offers! 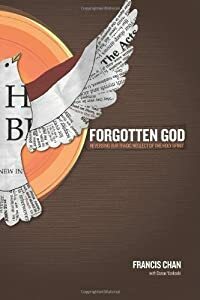 Thanks to the generosity of the ministry of David C. Cook, these three Francis Chan eBooks are absolutely FREE on our partner site eChristian, for 48 hours only: Crazy Love, Forgotten God, and Erasing Hell. To get your free eBooks, visit the eChristian special offer page, login (your christianaudio username and password work at eChristian!) and download your free eBooks. HURRY! This offer WILL end tomorrow (Saturday, April 7, 2012) at 11:59pm PT. I've read Crazy Love but not the other two, so I grabbed them. If you don't already have a christianaudio or eChristian account, you can sign up for FREE. Christianaudio gives away a free audio book every month, so it's a good account to have. It Looks Like a Baby Dragon!